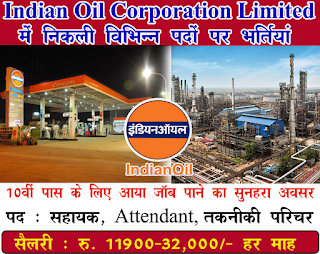 Indian Oil Corporation Limited Has Opening Application Form For 74 Junior Engineering Assistant Post. 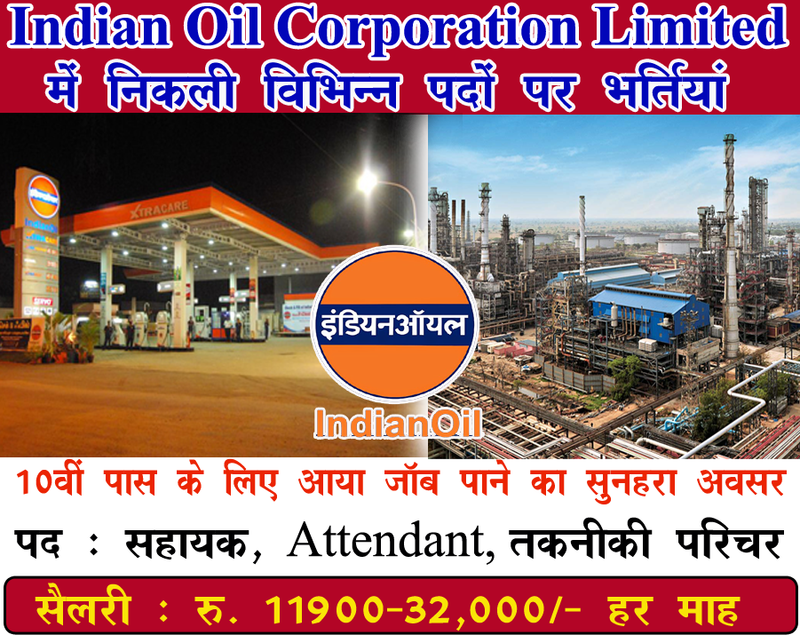 All Eligible Candidate Student Are Required To check All Eligibility details for IOCL Job 2017 and Apply Online Before On The Last Date 9-05-2017. 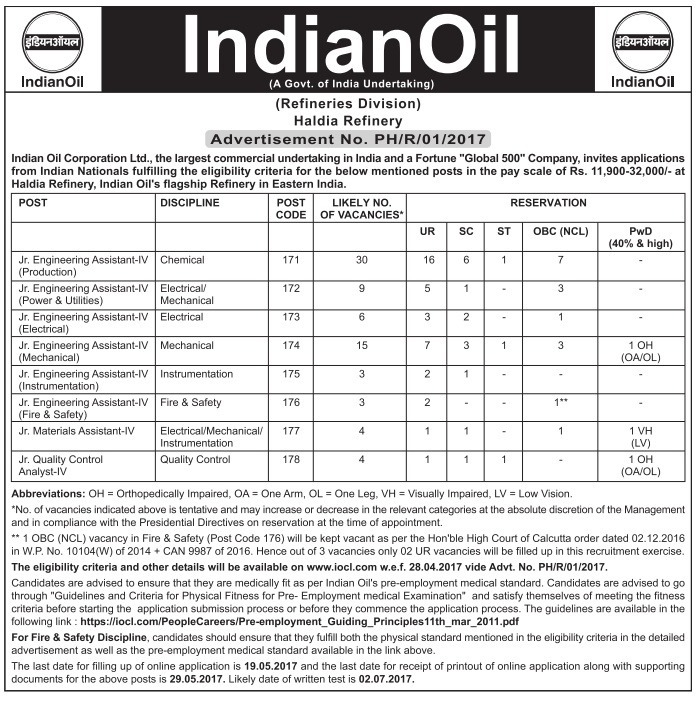 All Candidate Student Who Are Applying IOCL Recruitment 2017 For 74 Junior Engineering Assistant, Student Are Must To Check All Detail Like Application Fees, Age Limit, Posting Location, Salary, Admit Card, Exams Results Need To Check All Detail before Apply. Salary: - INR Rs. 11900 - 32000/-. 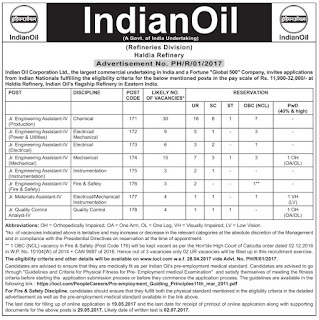 How To Apply: - All Eligible and Interested candidate Student may fill the online application through official website http://www.iocl.com.before or on 9-05-2017. Important Dates to Apply Online/Ofline:-Last Date for Registration of Online Application Form Is : 9-05-2017 .